Massachusetts, officially the Commonwealth of Massachusetts, is the most populous state in the New England region of the northeast United States. The capital of Massachusetts and the most populous city in New England is Boston. Over 80% of Massachusetts’s population lives in the Greater Boston metropolitan area. This region was influential upon American history, academia, and industry. Originally dependent on agriculture, fishing and trade, Massachusetts was transformed into a manufacturing center during the Industrial Revolution. Massachusetts is a global leader in business. Prominent American political dynasties hailed from the state, including the Adams and Kennedy families. Harvard University in Cambridge is the oldest institution of higher learning in the Unites States. Kendall Square in Cambridge has been called “the most innovative square mile on the planet”. This is in reference to the high concentration of entrepreneurial start-ups and the quality of innovation that have emerged in the vicinity of the square since 2010. In 2015, twelve Fortune 500 companies were located in Massachusetts. CNBC’s list of “Top States for Business for 2014” has recognized Massachusetts as the 25th-best state in the nation for business. For the second year in a row the state was ranked by Bloomberg as the most innovative state in America. 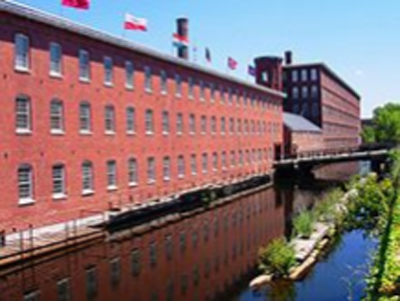 Textile mills such as the Boott Cotton Mills made Massachusetts a leader in the Industrial Revolution in the United States. The Route 128 corridor and Greater Boston Area continue to be major centers for venture capital and technology. 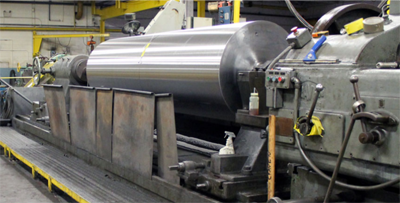 Companies in Massachusetts require surface finishing and repairs to their industrial rolls. Mirror Plating & Polishing (MP&P), specializes in helping companies with their industrial roll needs. Whether fabrication, repair, initial hard coating or resurfacing and finishing. MP&P works on a variety of rolls including: industrial and paper mill, double and single shell heat transfer rolls, drum dryers, calendaring, coating, embossing, laminating rolls and cylinders. Founded in 1954, MP&P has been committed to the highest standards of service throughout the generations with one over-riding commitment, that every industrial roll leaving our facility and returned to Massachusetts based companies will meet those standards. For our customers that need roll surface finishing and repairs for their industrial rolls, that means trouble-free performance once the roll is back in production. That commitment to excellence has built MP&P’s reputation as a leader in hard chromium plating and surface finishing of industrial rolls. It continues to make MP&P the name to depend on when quality and consistency count. Posted in State News and tagged cylinder refinishing, cylinder resurfacing, hard chromium plating, heat transfer rolls, industrial roll repairs, industrial rolls finishing, Massachusetts, Massachusetts Textile Rolls, MP&P, paper mill rolls. ← Who Does Ohio Call for Roll Refinishing?